The Communications Specialists, also known as Dispatchers, of the Kingsport Emergency Communications District, are being honored this week, April 14 through 20, 2019, as part of National Public Safety Telecommunicators Week (NPSTW). Communications Specialists are the calm, yet highly trained, voice on the phone whenever a citizen calls 9-1-1 to report an emergency. Every year during the second week of April, telecommunications personnel in the public safety community are honored. This week-long event was originally created in 1981 by Patricia Anderson of the Contra Costa County Sheriff’s Office in California. Her goal was to set aside a time to celebrate and thank these individuals who dedicate their lives to serving the public, and make people aware of their hard work and dedication. The Communications Specialists of Kingsport Central Dispatch process roughly a quarter of a million telephone calls annually. Approximately twenty percent (50,000) of these calls are emergency calls to 9-1-1. Although a division of the Kingsport Police Department, Kingsport Central Dispatch also provides services for the Kingsport Fire Department, Sullivan County E.M.S., Kingsport Life Saving Crew, and other city departments and functions. Kingsport Central Dispatch moved into the current 7,500 square foot, state-of-the-art, 9-1-1 Emergency Communications Center in Downtown Kingsport in October 2015. Central Dispatch had previously been housed in a cramped 1,000 square foot space on the second floor of the Kingsport Justice Center since 1989. Prior to that, Central Dispatch operated out of the basement of the Civic Auditorium. Kingsport Central Dispatch personnel serve under the supervision of the 9-1-1 Director, Lieutenant Todd Harrison, and include Communications Supervisor, Adrianna Sorge, Technical Services Coordinator, Richie Hite, 4 Shift Leaders, and more than a dozen Communications Specialists, all of whom are Emergency Medical Dispatch (EMD) certified. The Kingsport Police Department would like to take this opportunity to express sincere gratitude to all of the employees of Kingsport 9-1-1 and congratulate them on a job well done. Six of Kingsport 9-1-1’s Communications Specialists are additionally certified as Emergency Number Professionals (ENPs) by the National Emergency Number Association. The ENP program was established in 1994 as a way to establish a benchmark of performance for professionals in the 9-1-1 field. In order to be certified as an ENP, applicants must first meet eligibility requirements that include a combination of experience, education, and professional development in the 9-1-1 field. Candidates then must pass a rigorous examination that demonstrates a mastery of the comprehensive knowledge base required of emergency number program management. On April 2, 2019 at approximately 8:00 AM, Benjamin R. Vaness came to the Kingsport Justice Center and turned himself in to authorities on the outstanding warrant for 2 counts of Aggravated Animal Cruelty. He was processed in the Kingsport City Jail, and secured his release shortly thereafter after posting a $6,000 bond. On March 30, 2019 at approximately 12:00 PM, Kingsport Police Patrol Officers responded to 1329 Cooks Valley Road in Kingsport, to check the welfare of the resident, after receiving a complaint from a concerned citizen that the front door had been ajar for about a week. Upon arrival, the front door was found to be standing open as described, and the responding officers could smell a putrid odor emanating from inside. Upon entering the house to investigate the source of the odor, officers found the home to be in complete disarray. In a back bedroom, behind a closed door, officers found the remains of what appeared to have been a dog. The skeleton of what appeared to have been a second dog was found in the backyard. Officers were eventually able to reach the resident, Benjamin R. Vaness, by phone. He confirmed ownership of the residence and promised to clean it up. He told officers that there were no pets at his home, yet further investigation revealed additional information to the contrary. Mr. Vaness agreed to contact and meet with the officers at his home the following day. On March 31, 2019, he called K.P.D. to arrange the requested meeting; however, when the officers arrived shortly thereafter, Mr. Vaness had already left and could not be reached again. A warrant has been obtained, charging Mr. Vaness with 2 counts of Aggravated Animal Cruelty, a Class E felony. As of the time of issuance of this news release, he remains at large. His photo is included with this release. 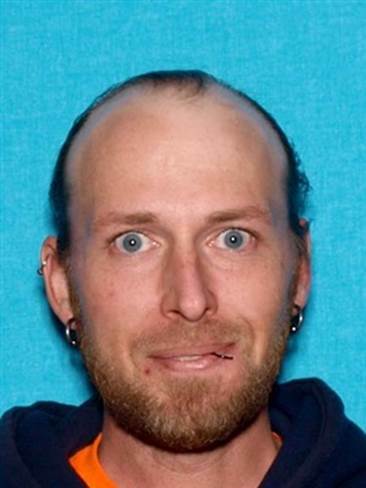 Anyone who knows his current whereabouts is asked to contact Kingsport Central Dispatch at 423-246-9111. 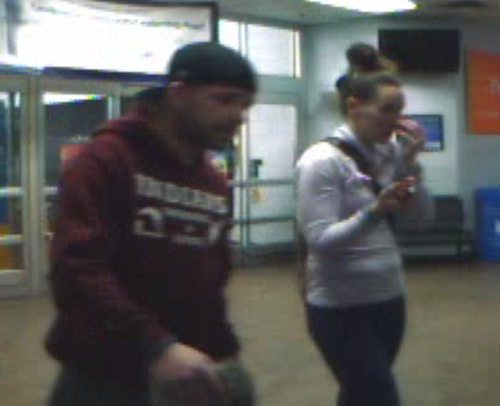 On March 13, 2019 two suspects used a stolen debit card to make a fraudulent purchase at Walmart, located at 3200 Fort Henry Drive in Kingsport. The owner of the card believes he may have accidentally dropped the card during an earlier visit to a convenience store in the Rock Springs area. 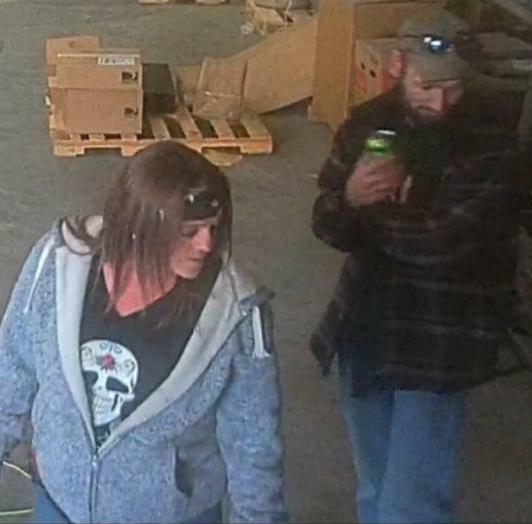 Anyone who recognizes either of them is asked to contact Detectives in the K.P.D. Criminal Investigations Division at 423-229-9429 or call Kingsport Central Dispatch at 423-246-9111. On the morning of March 20, 2019 a commercial burglary was reported to the Kingsport Police Department. The incident occurred sometime during the previous night at Courier Express, located at 3313 East Stone Drive in Kingsport. The suspects stole some of the components of the security system as well as several unopened packages (contents yet to be determined). Two suspects (one white female adult and one white male adult) were captured on surveillance video during the crime. A photo taken from that footage has been included with this release. Anyone who recognizes either of them is asked to contact Detectives in the K.P.D. Criminal Investigations Division at 423-229-9429 or call Kingsport Central Dispatch at 423-246-9111. 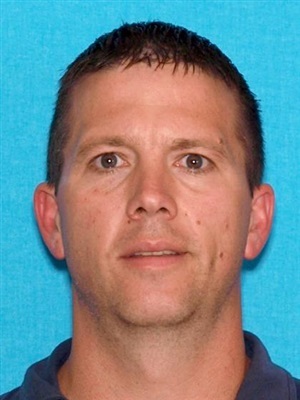 On March 26, 2019 Bobby T. Depriest was reported as a missing person to the Kingsport Police Department by his ex-wife. She advised that she last spoke with him by telephone in early January 2019 at which point he told her that he would call her in a couple of weeks. She has yet to hear from him and has become concerned. Due to specific information relayed to investigating officers regarding Mr. Depriest’s personal history, there is cause to be concerned for his general health and welfare. He is a 41 year old white male adult, standing approximately 6 feet 1 inch in height and weighing roughly 160 pounds. A photograph is included with this release. Anyone who sees him or may know his current whereabouts is asked to promptly contact Detectives in the K.P.D. Criminal Investigations Division at 423-229-9429 or call Kingsport Central Dispatch at 423-246-9111. 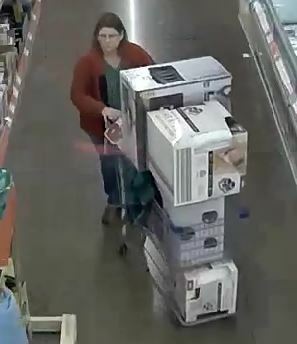 On two separate occasions, December 20 and 22, 2018, a woman used an altered receipt to fraudulently “return” merchandise (which she had never actually purchased) for a cash refund at ALDI, located at 2617 East Stone Drive in Kingsport. Anyone who recognizes her is asked to contact Detectives in the Kingsport Police Department Criminal Investigations Division at 423-229-9429 or call Kingsport Central Dispatch at 423-246-9111.